Read about common problems with mobile notifications on android devices. By default, Paldesk gives you a 7 day of free trial for you to try it out and experience it from the first hand. After that, you will have to pay for the services by adding your card data. 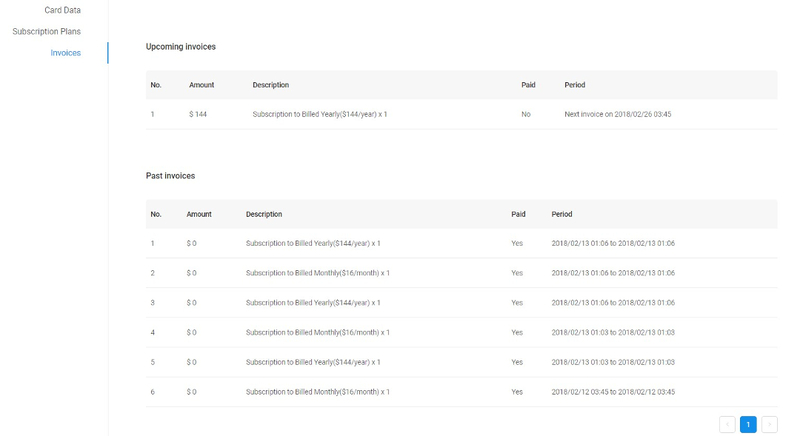 You will be able to choose your subscription plan. How do I add card data and pick a subscription plan? ‘Billing’ settings can be accessed from the ‘Administration’ panel. Write your Card number and date, fill out all fields with an asterisk (*) to complete payment for your Paldesk services. 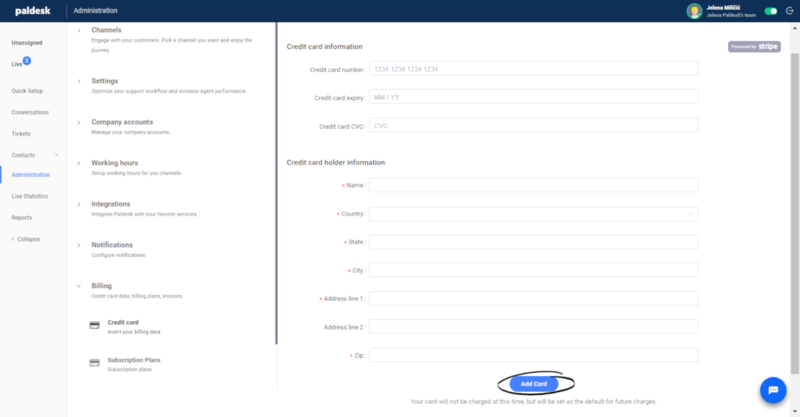 After filling out all of the required fields click ‘Add Card’ button to use it for your payment. Custom – contact us in order to get your custom plan that fits your purposes just the way you want them to be. If you want to change your Subscription plan just click on ‘Change plan’ button under the desired plan. Invoices provides insight into your past and upcoming charges.